Open hearts and an ancient, otherworldly landscape make Maui a heavenly island escape. My heart is thudding in my ears, and my neck is slick with sweat when I reach the summit of Lyon’s Hill. Below, the vast, silvery Pacific looks like mercury, and the sleepy town of Hana yawns awake. It’s not yet 7 a.m., but despite the early hour, I’m not alone when I arrive. Two women are bent over a bright green hedge, breathing in the sweet scent of the dainty white flowers that bloom on its branches. They take turns photographing each other next to Fagan’s Cross, the giant lava stone structure that’s visible from the town below and now towers above us. I offer to take a few pictures of them together, and when they’ve had their fill, they return the favor. For several minutes after they head back down the dirt path, I have the hilltop, and the whole world, it seems, to myself. I take a seat on a stone wall at the foot of the cross, and I savor this rare moment of solitude. 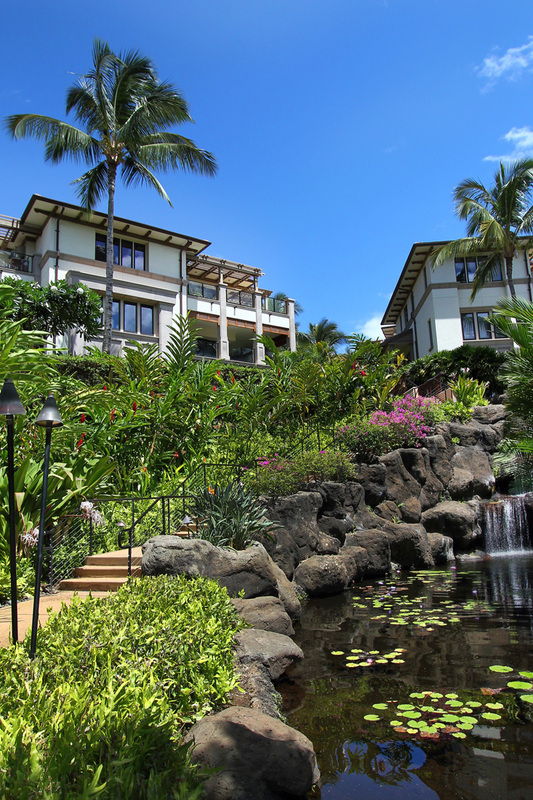 Wailea Beach Villas offer luxury, apartmentstyle accommodations, complete with gourmet kitchens and laundry facilities. It’s my last morning on a week long escape to Maui, an island that I’ve come to love for its simple pleasures and warm people. But for all its simplicity, Maui is still diverse, and we’ve spent the last week familiarizing ourselves with its many facets. For three days at the start of our trip, we make our base in Wailea, a manicured vacation enclave on the island’s south shore. And although that side of the island is rife with glittering boutiques and upscale restaurants, we prefer to keep things simple. We buy fresh poke and Hawaiian chocolate and coffee at the local, family-owned Foodland (not to be confused with the fluorescent-lit, big box chain we have here on the mainland), and we savor the snacks on our spacious balcony at Wailea Beach Villas in between trips to the beach and pool. We spend an early morning on Wailea Beach paddling an outrigger canoe through the cobalt-blue Pacific as our soft-spoken guide, Kevin Hoke, leads us in ancient Hawaiian chants from the back of our boat. Early the next morning—at 4 a.m.—we make the drive in our rented Jeep to the top of Haleakala, where we watch the sun float into view as frigid wind whips at our hair and faces. We follow up our sunrise adventure with a down-home breakfast of coffee cake and omelets at hole-in-the-wall Grandma’s, and we spend the rest of the same day driving along Maui’s serpentine, hilly roads, stopping at Maui Wine, the Hali’imaile Distilling Company and the Maui Brewing Company to sample island-made wine, rum, beer and other spirits. At the Hali’imaile General Store, we refuel with fresh poke bowls, fragrant seafood curry and pillowy pineapple upside down cake. The ultimate island drive comes on our fourth day when we leave Wailea behind and set out on Hana Highway for the island’s remote eastern end. We take our time on the drive— famous for its hairpin turns, narrow passages and spectacular roadside scenery—stopping to marvel at plunging, narrow waterfalls, gigantic trees with painted trunks, forested valleys that end at the ocean’s edge and a black-sand beach that could easily have been plucked from another planet. We pull over to purchase miniature loaves of homemade banana bread, and again to order scoops of tart lilikoi ice cream, complete with tiny, crunchy seeds. In the parking lot of Wai’anapanapa State Park, home of that black-sand beach, we wait out a downpour in the front seat of the Jeep, contentedly tucking in to containers of leftover poke and cakes of sticky white rice that we packed up and brought along for the ride. 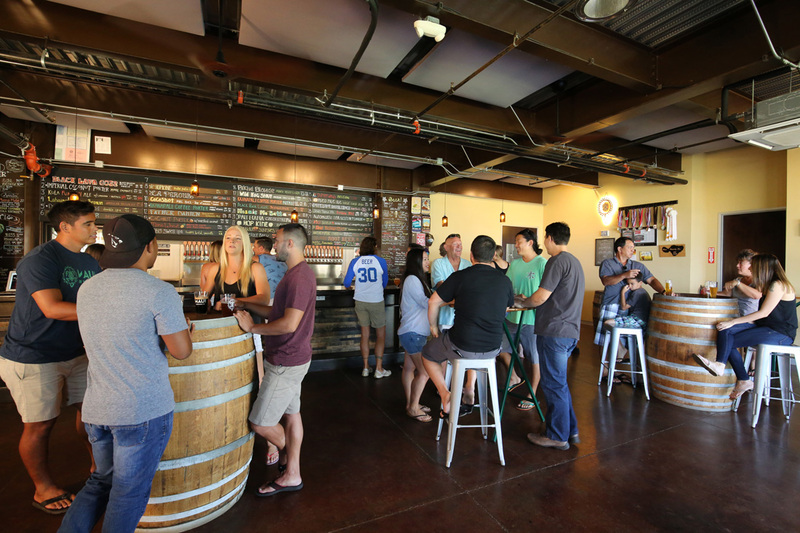 Brew buffs unwind with a pint at Maui Brewing Company in Kihei. Not sure where to start? Try the popular Bikini Blonde. 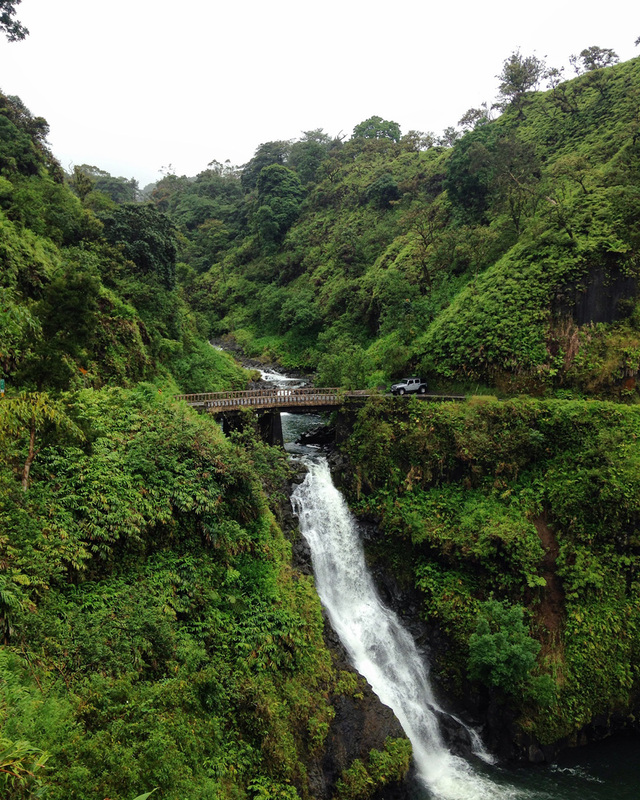 The highway deposits us in the tiny ranch town of Hana, where not sleek shopping malls but shabby barns dot the roadside, and lush hilltops disappear into shrouds of mist. This is Old Hawaii. It’s also home to Travaasa Hana, the only luxury resort in town, where we check in and get straight to business—or, rather, pleasure. Steady rain does nothing to deter us from diving into the wide, ocean-view swimming pool, nor from stretching out on chaise lounges back on the deck of our bungalow. Here, it’ll take more than warm, tropical rain to dampen our adventurous spirits. But the rain clears, and once it does, we move on to aimless walks, a lazy horseback ride through overgrown fields, even sniffing out a “secret” red-sand beach. (It does exist, and it is spectacular, but for safety reasons, hotel staff are loath to reveal its location.) At the spa, we lie down for intoxicating massages, and in a quiet corner on a sprawling deck, we sip sweet, tart Mai Tais—arguably the best anywhere—one right after another. Frizzy-haired and makeup-free, I’m happier and more relaxed than I’ve been in a while. Maybe ever. Now, on my final morning, I take in the panorama from Lyon’s Hill one last time and then set out for the walk back down to the hotel. As I start along the path, a fellow female hiker, also solo, emerges over the hilltop. “Good morning,” we say to each brightly as we prepare to pass. “Did you get a guava?” she asks. I tell her no and wonder how I’d missed a fruit stand between the hotel and this hilltop. But I didn’t miss it. She’s picked a half dozen fruits from a tree growing somewhere alongside the path. She extends a hand, and without thinking, I do the same. She drops into my palm a sunshine-yellow orb, its skin thick, soft and slightly pocked like a lemon’s. Immediately, I can smell its soft sweetness. “When they’re bright yellow like this, you can eat them,” she tells me. “You’ll find seeds inside, but it’s delicious.” I thank her for the unexpected gift—of not just the guava, but of one more special moment that I’ll add to my memories of Maui.